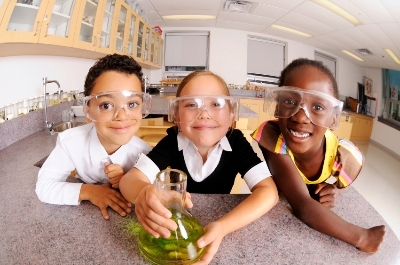 Our mission is to help foster science programs within the greater Chicago area K-12 public school systems. Working in conjunction with The Golden Apple Foundation, we are actively repurposing unneeded school science equipment and distributing it to less advantaged schools. Schools upgrading their lab resources can create a legacy of learning for underfunded schools. The outgoing, serviceable science equipment from adequately funded schools may now be repurposed and directed to underfunded Chicago public K-12 schools. Your gently used microscopes, test tubes, textbooks and other supplies are virtual windfall opportunities for many schools looking to establish a lab-based science curriculum with inadequate financial resources. Science Connexion bridges this gap by connecting these simple yet dire resources to our future chemists, engineers and leaders of industry. Science Connexion makes their debut presentation in support of The Golden Apple's Inquiry Science Institute Program. Click below to see pictures of this event The Golden Apple Scholars program is more than just a scholarship; it's an investment in the future. 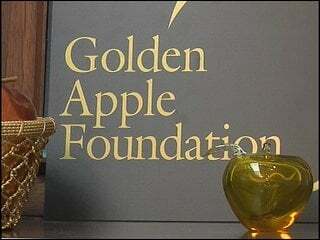 To learn more about the program and how your support of Golden Apple can help improve the lives of thousands of underprivileged children throughout Illinois, one teacher at a time, please watch this video.